Welcome to Ron Leedy's winner of the 2009 Mid-Atlantic NNL Harry M. Charon, Jr. Memorial Replica Stock award. 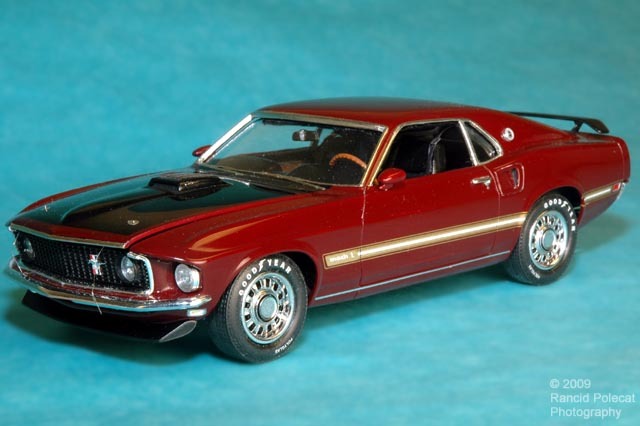 Starting with the Revell 1969 Mustang Fastback kit, Ron covered the body with Model Car World Royal Maroon paint. Topped off with a polished clear coat, the body sports Mach 1 decals from The Last Detail.